Australia lost the first ODI by 26 runs via Duckworth-Lewis method but Smith believes the world champions have a quality squad to bounce back in the series. Kolkata: Australia captain Steve Smith backed his teammates to deliver and said the visitors have enough talent at their disposal to challenge India in the remaining games of the ongoing five-match ODI series. 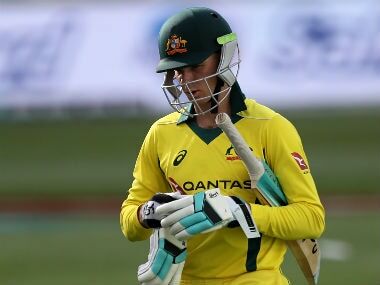 Australia did not have the best of start to the tour as they lost by 26 runs via Duckworth-Lewis method in the rain- curtailed first ODI in Chennai last Sunday. But Smith believes the world champions have a quality squad to bounce back in the series. "Obviously, the other day it was more like a T20 game for us, especially while we were batting. I think if we had 50 overs, the guys would have a chance to get into their groove and play with the right tempo," Smith said on the eve of the second ODI at the Eden Gardens. "(But) we still believe in these guys. 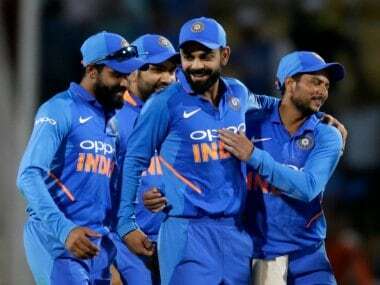 We think they've got a lot of talent and we've got a team here that can hopefully challenge India in the next couple of games," he added. 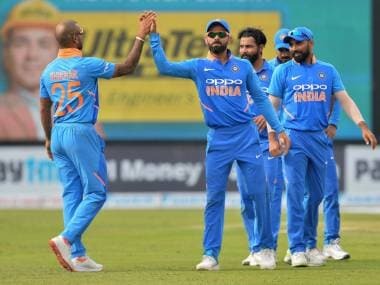 In the first ODI, India made a challenging of 281 for seven but intermittent showers hampered Australia's chase as they were set a revised target of 164 in 21 overs. The visitors eventually fell short by 26 runs. Smith begs to differ with his predecessor Michael Clarke, who on Tuesday remarked that the current skipper was facing a challenging time in his leadership. "I don't think so. I'm not in a bad place with my captaincy. Obviously results haven't been the way we would have liked and that's something we are trying to rectify," Smith said. "Guys are working hard and it's all about getting out in the middle and getting the job done. It was a disappointing start to the series but we've got a game tomorrow to turn things around." 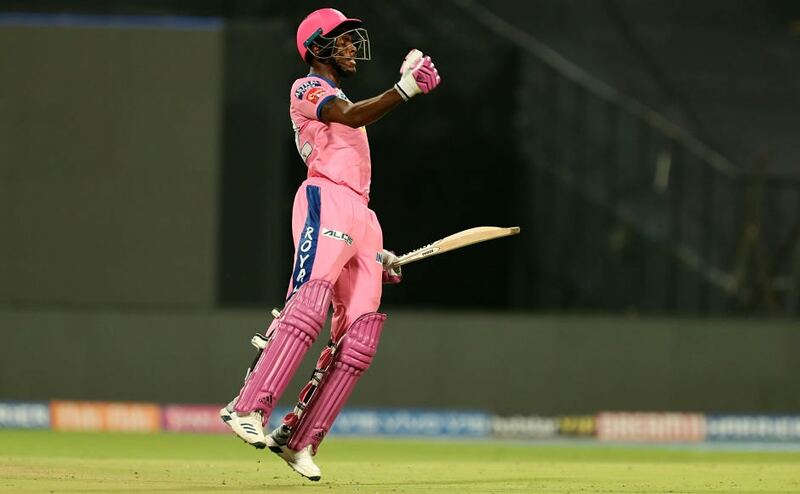 Smith also praised Hardik Pandya (83 off 66 balls) and Mahendra Singh Dhoni (79 off 88 balls), who shared a rearguard 118-run stand for the sixth wicket to lift India to the challenging score after losing half of the side for 84 runs at one stage. "They (Dhoni and Pandya) batted really well. 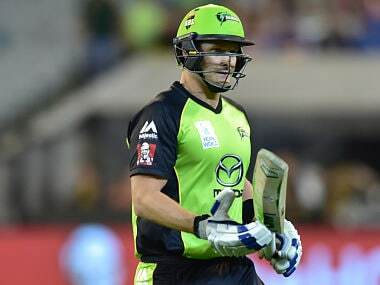 They formed a good partnership which we couldn't break," the Australian skipper said. "We certainly tried. I brought Coulter-Nile back to try and get a wicket and saved (James) Faulkner for the back end. But we just weren't able to do so." Smith singled out Dhoni and showered special praise on the veteran glovesman for playing another finisher's role to perfection. "I don't think his (Dhoni) role has changed. He has always batted at No. 6 or 7 and he has been that sort of finisher. He has got a phenomenal record and he has done that job (in the past). I think his role is pretty much the same as it has always been," he said. Australia's preparation in the run up to the tour has not been ideal. Their top three pacers — Mitchell Starc, Josh Hazlewood and James Pattinson are not part of the touring squad because of injuries while explosive opener Aaron Finch is doubtful for the first three ODIs after pulling a calf muscle in his right leg. "Its never ideal, but that's part of the game. Obviously we've got Starc, Hazlewood and Finch out as well. The two (Starc and Hazzlewood) are our top bowlers," Smith said. "I thought the guys that opened the bowling the other day, (Nathan) Coulter-Nile and (Pat) Cummins were exceptional upfront. It's a good opportunity for guys to put their hands up," the visiting skipper said. The Eden Gardens has remained under cover for the last two days due to rain, which means Australia were once again denied practice. "Certainly it's something to think about. To begin we'll turn up tomorrow, expecting to be playing full 50 overs and if things change from there, we've got to adapt and do what needs to be done," Smith said. "We weren't good enough batting in the 21 overs that we had in the last game and certainly we've got to do a lot better." Asked about the wicket on offer for tomorrow's game, Smith said there was a little bit of grass on it. "Probably more than I've seen in India for a while. It looks alright. Few cracks up and down the wicket but I don't think it will play a big part. Looks like the wicket has been used somewhere," he said. "I will have another look tomorrow, see what the weather is doing. The curator might roll it a bit more or cut it. We will have another look in the morning and decide our team then." Australia have been training indoors after coming here because of rain but Smith said lack of outdoor practice won't hamper the visitors much in the second ODI. "I don't think it'll have a big impact. Guys have worked hard since we've been here in India," he said. "We've obviously had a game not that long ago so the guys are in a fine space. It's just been about topping up a few things we can in indoors and getting a few things right there. No excuses from us. We're ready to go tomorrow," Smith signed off.